Lots of fun for our Great Explorers. A place to perform, play, explore and have fun. 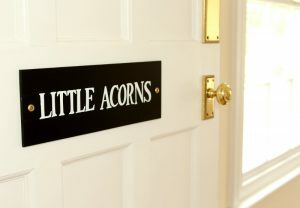 From little acorns mighty oaks grow…. It starts here; nurturing both physical and mental stimulation from 3mths to 1yr. Our baby room adopts a structured routine for feeding and sleep time formulated from your baby’s own individual routine. 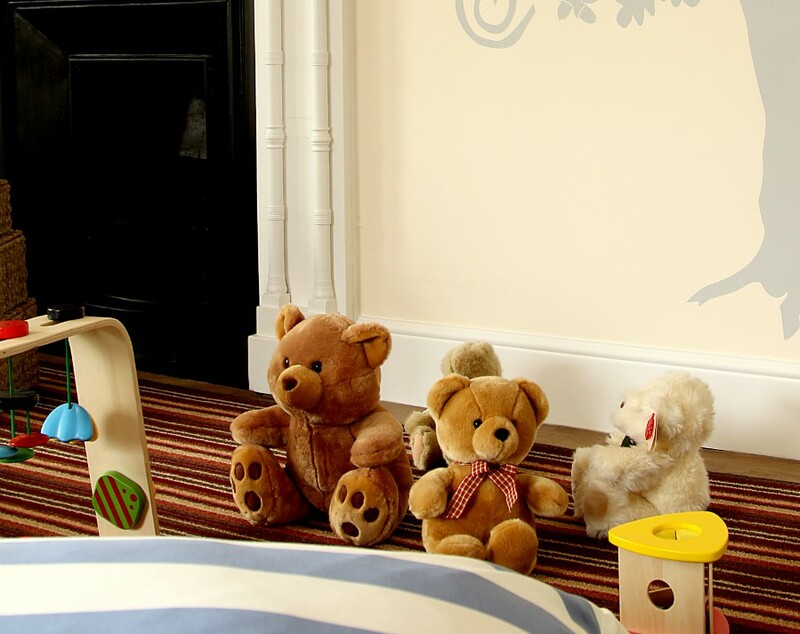 A calm and tranquil room enables our young babies to feel happy and content in a homely environment. 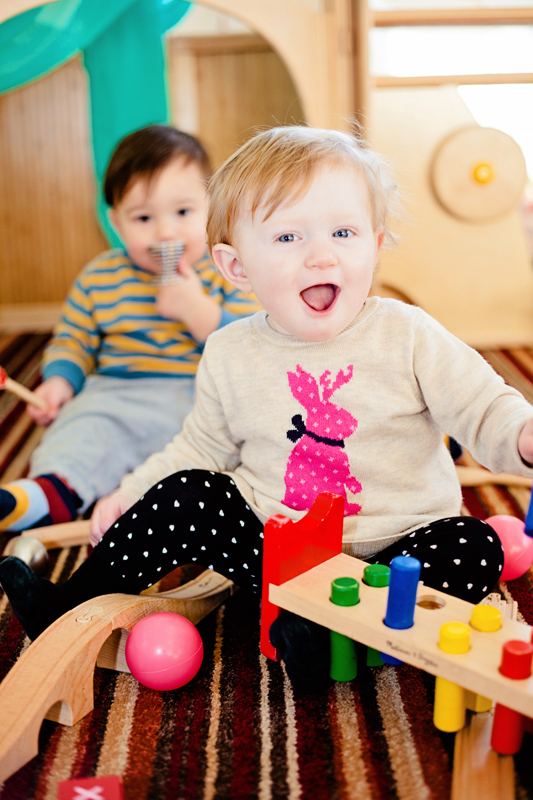 Flexibility and self-discovery are essential at this age as babies use their fingers and toes to explore and anything and everything –every day is its very own adventure! Our Little Acorns have access to a messy room which is used for numerous activities that require an easy clean space and our Great Explorers room. Our Great Explorer room is just that a room for exploration. 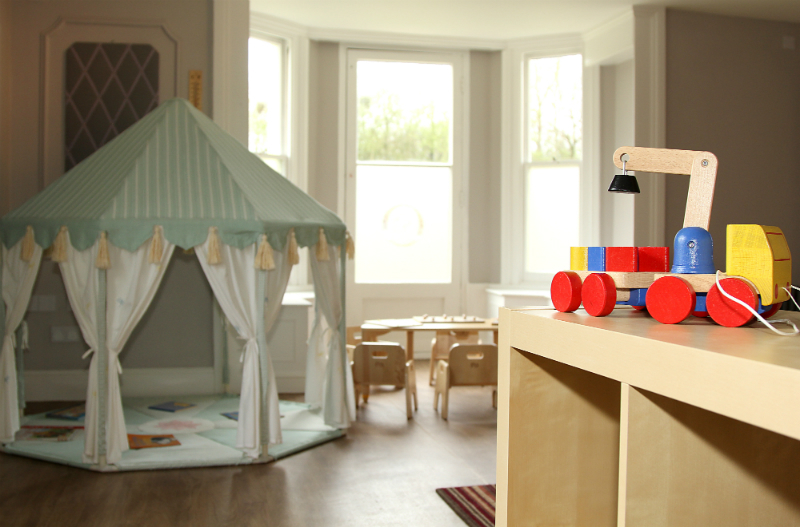 Designed with an imaginative play frame, quiet area and interactive play, this room gives more mobile babies opportunity to stretch their legs and minds. We believe that a babies sleep is of the upmost importance and we offer a dedicated sleep room for our Little Acorns and Great Explorers to sleep peacefully in a darken room which is further enhanced with our sensory night sky and gentle soothing classical music. Babies will have their very own dedicated cot, which is fitted with a cosy pocket sprung mattress and cotton bed sheets. A designated milk kitchen area takes care of the majority of food and milk requirements for our babies and is further assisted by our main kitchen and our fully qualified chef. Outside we have a specially created baby friendly area undercover allowing all our babies to explore in the fresh air whatever the weather. Further to this all our children are taken outside to the “Big O” which is our outside classroom area. This is a fenced play area, which has been laid with decking and smoothed to provide a safe surface for babies to crawl. Outdoor exploring begins with short walks around our grounds and lessons of discovery in our Big ‘O” garden. For our toddling babies we plan where possible to join in gardening activities and assemblies with the Super Saplings again smoothing the transition for our children. We also have triple buggies for babies to enjoy a stroll through the gardens and grounds of our nursery with their friends. All our babies are invited to join in our regular assemblies and are introduced to music, movement and basic signing using Makaton. In our Great Explorers room all our babies are able to develop their fine motor skills and be more aware of the people and the world around them. As our babies grow we begin to prepare them for their next step. They will continue to work within their own routines but begin to interact with the older children in the Super Saplings room giving them a smooth transition to becoming more independent and social. Towards the end of their time in Little Acorns babies begin to eat their meals where possible in our dining room and join in playtime with the Super Saplings.